The historic Great Tythe Barn, is set among 200 acres of privately owned land, near Tetbury, Gloucestershire. 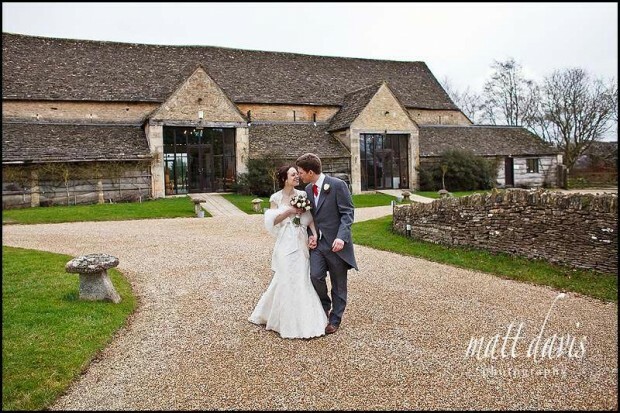 This retired Grade II listed Cotswold stone barn is a well established wedding venue. With converted stone farm buildings surrounding the barn theses provide self-catering accommodation for you to hire for your guests. The barn can seat up to 200 guests and there is also a gallery area and gardens for your guests to use. Other wedding venues nearby: Kingscote Barn, Matara, Owlpen Manor, Chavenage House. Yet another rustic barn for weddings in the Cotswolds…..we have a few here it seems! The Great Tythe Barn has the advantage of a considerable amount of accommodation on site for you and/or guests to stay in. Everything is made simple here with good parking, your wedding day activities on the doorstep plus the advantage of a local pub within walking distance for those stopping over before the wedding. It’s location close to Tetbury makes it a good choice for using the Church in Tetbury, as it’s no more than a 2 min car ride between the two venues. You can of course use the venue for a civil ceremony which also works well. The Great Tythe Barn has a few options for wedding photos. There is a small garden where guests can enjoy the wedding drinks reception enclosed by Cotswold stone walls. The tree lined driveway can also offer some interesting autumnal colour. Why not check out a few wedding testimonials from previous clients or contact me if you’re looking to get married in the Cotswolds.